New Rochelle, NY, March 12, 2018 — Among adults with autism spectrum disorder (ASD), a new study has shown that those who use Facebook, in moderation, are happier than those who do not. This finding could not be generalized to overall use of social media, however, because the same was not true of those who used Twitter, for example, as reported in an article published in Cyberpsychology, Behavior, and Social Networking, a peer-reviewed journal from Mary Ann Liebert, Inc., publishers . 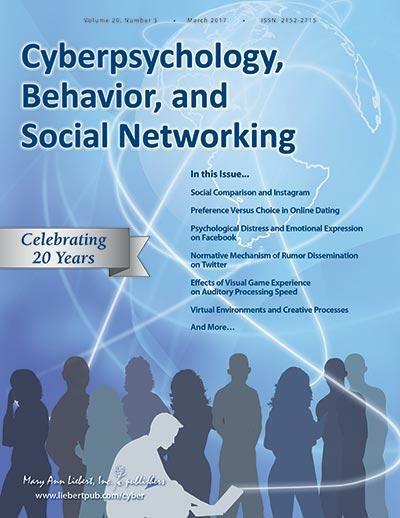 The article is available free on the Cyberpsychology, Behavior, and Social Networking website.